Open-canopy oak woodlands on Mt. Tam are in Fair condition overall. Overall, this community has a trend of No Change. 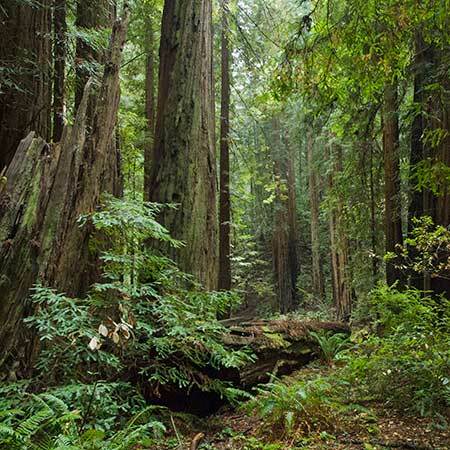 Old-growth redwood forests are in Good condition, second-growth in Fair condition. The overall condition is Good. The overall condition of Mt. Tam’s grasslands is Fair. The overall condition of Mt. Tam’s maritime chaparral is Poor. The overall condition is Fair. Over 40 rare plants are currently known on Mt. Tam. Not every plant community type or rare plant species on Mt. Tam was included in this health assessment process. Additional information about this health assessment process, including how indicators were chosen, is available in the What We Did section of this site. Good indicators are easily measured, have low “noise,” and often reveal some other aspect of ecosystem health. Rare plants—important aspects of biodiversity in their own right—also play a role in indicating the health of particular ecosystems. Both vegetation communities and individual rare plant populations may also show the effects of stressors such as alteration of natural disturbance regimes (e.g., grazing, fire), climate change, and invasion by non-native species. Lichen and fungi are also important components of the mountain's health about which much less is known. You can learn more about this and some of the other vegetation data gaps revealed through this health assessment process here. 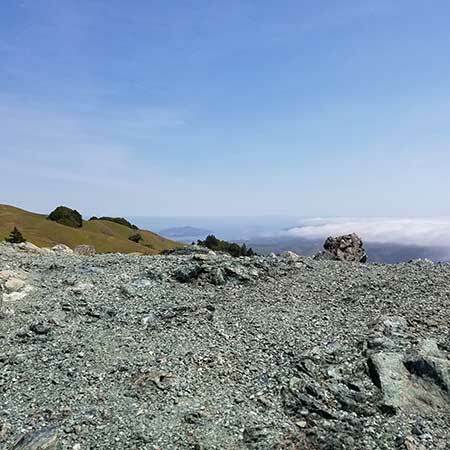 Find out more about the health of the mountain’s rarest flora and other plant communities through the links in the images below. Mt. 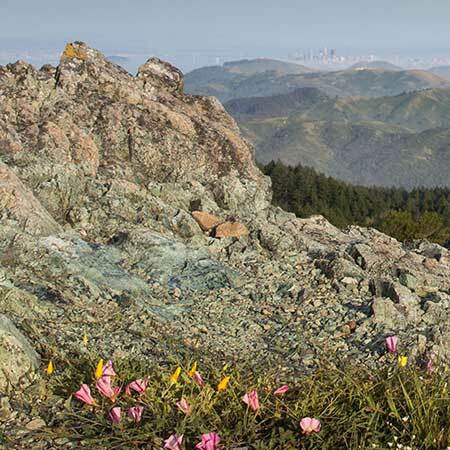 Tam’s plant communities are in varying condition, depending on a number of factors such as disease, invasive species, and changes to the wildfire frequencies. Mt. 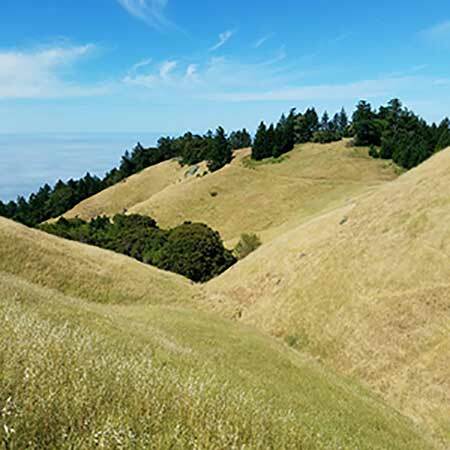 Tam’s iconic, sweeping grasslands vistas and stately open-canopy oak woodlands serve as habitat for numerous plants and animals, and hold tremendous biodiversity. Both these plant communities have been impacted by ecological succession as a result of alterations in natural disturbance regimes, and by the invasion of non-native plants. 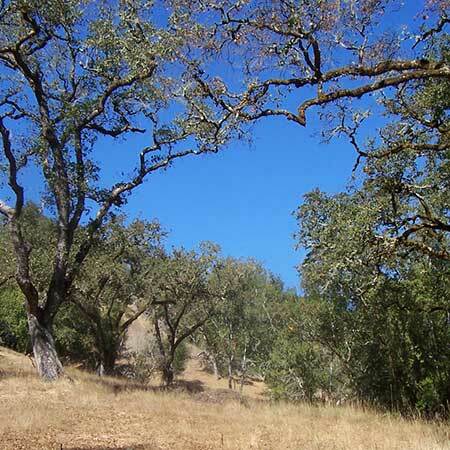 In addition, coast live oak woodlands are losing large trees due to Sudden Oak Death. Native grasslands are at 1% of their historic extent in the state, and Mt. 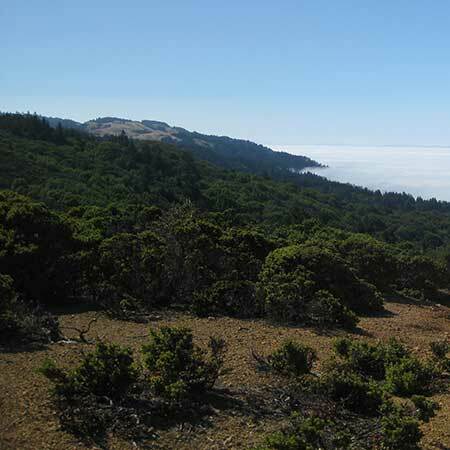 Tam preserves some of the best examples of remnant grassland ecosystems in the region. Coast redwood forests (Sequoia sempervirens) are another iconic vegetation type undergoing changes due to Sudden Oak Death, climate change, and invasion by non-native species. 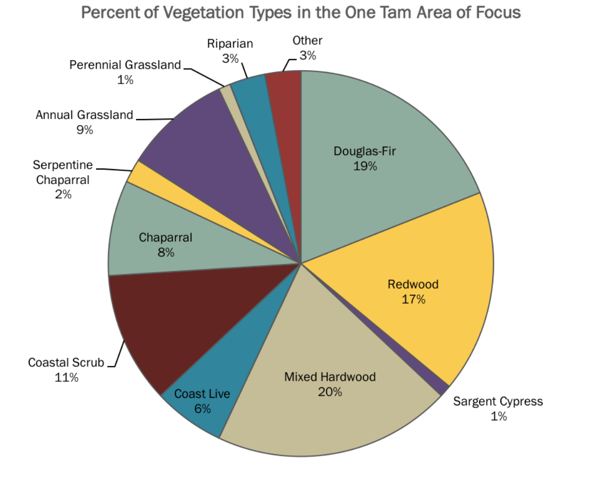 The One Tam area of focus has a small amount of old-growth redwood forests, but majority are second-growth, having been logged at some point in the past. Sargent cypress (Cupressus sargentii), particularly the pygmy forest along San Geronimo Ridge, is a rare vegetation type that hosts several California Native Plant Society-listed and locally rare plant species. Unlike many of the other communities chosen as indicators, Sargent cypress appears to be relatively disease- and weed-free. Sargent cypress forests have been impacted by changes in the fire regime on Mt. Tam however, as the trees reproduce solely from seed, and largely depend on fire to open their cones. 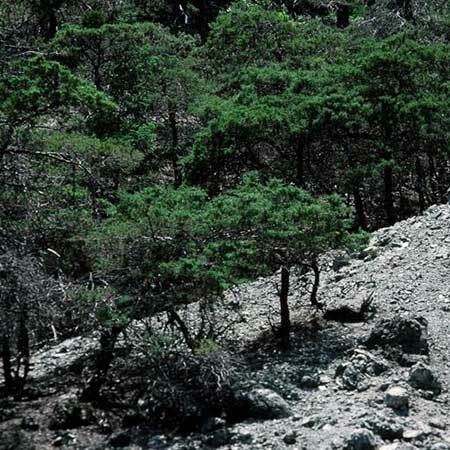 Shrubland communities on Mt. Tam are made up of drought- and heat-tolerant, hard-leaved evergreen chaparral species such as chamise and manzanita, and also by coastal scrub, which is primarily comprised of salt-adapted, evergreen coyote brush (Baccharis pilularis) shrubs. The shrublands of Mt. Tam can be used as indicators of successional processes, disturbance, and habitat quality for terrestrial birds. Learn more about the condition and trends of these plant communities through the links above.